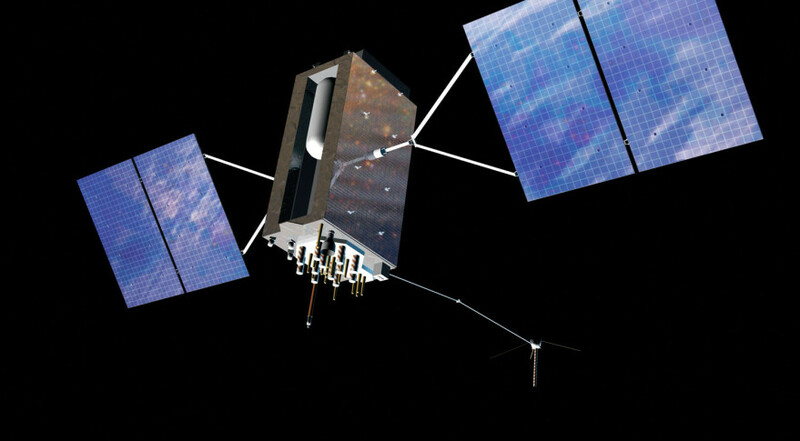 The Air Force plans to hold a competition to build the 11th GPS 3 satellite. Lockheed Martin Space Systems of Denver is under contract to build the first 10 GPS 3 satellites. | Credit: Lockheed Martin. WASHINGTON — The U.S. Air Force released Jan. 8 a formal solicitation for companies to demonstrate their ability to build the next batch of GPS 3 positioning, navigation and timing satellites. The announcement is one of the first steps toward a contract that could top several billion dollars. The Air Force said in April it plans to award multiple contracts worth up to $6 million apiece as a forerunner to a competition in 2017 or 2018 for a fixed-price contract to build up to 22 follow-on navigation satellites. The first contracts will be awarded in the spring of 2016, the Air Force said in a Jan. 8 press release. Currently Lockheed Martin Space Systems of Denver is under contract to build eight next-generation GPS 3 satellites, the first of which now is slated to launch no earlier than 2017. The contract includes options for up to four more satellites, and the Air Force has told Congress it expects to execute options for at least two of those satellites. The Air Force plans to begin with a solicitation for the 11th vehicle. The service posted a notice of solictiation for proposals Jan. 8 to the Federal Business Opportunites web site. As a result of the solicitation, the service would award up to three contracts, each with a base value of $6 million, plus options, to determine if “low-risk, high confidence sources exist” for the follow-on satellites. The initial phase of these contracts would last up to 38 months, the service has said previously. Northrop Grumman Aerospace Systems and Boeing Space and Intelligence Systems were among the companies that responded in 2014 to an Air Force request for information from contractors interested in building the next batch of GPS satellites. Responses are due Feb. 23.